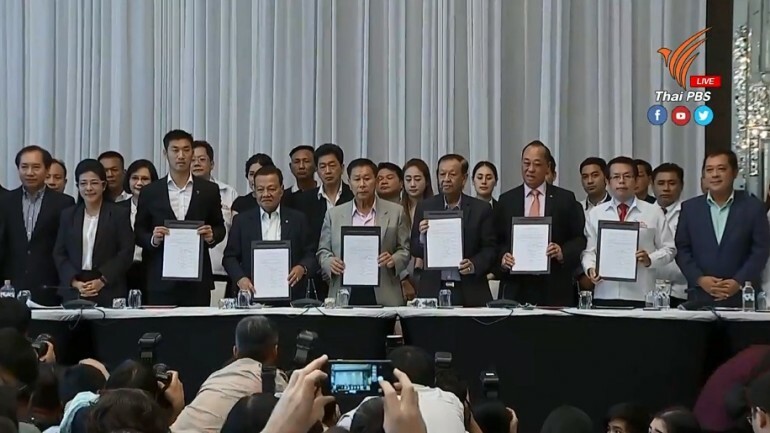 The announcement by the Pheu Thai-led alliance that it is ready to form a post-election coalition government because it has 255 House of Representatives seats is anything but a declaration of victory. It also shows anything but how the new government will look. The race to form a government is still on and far from over, with the 5 per cent of votes that remain uncounted looking increasingly crucial. The announcement can be just a game, one designed to put pressure on the Senate which is provisionally empowered by the Constitution to join the House of Representatives in electing the new prime minister. Or it can be something designed to go along with the alliance’s allegation that there are irregularities in the election results. 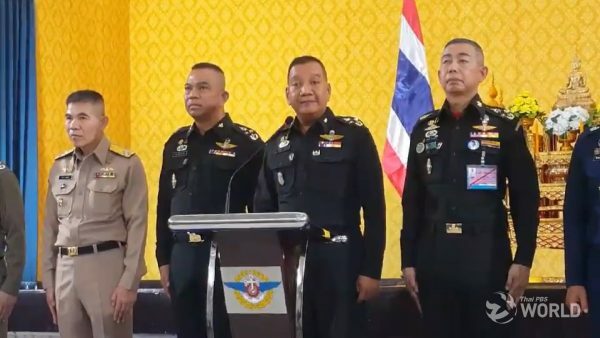 Leaders of the Pheu Thai, Future Forward, Seri Ruamthai, Prachachart, Palang Puangchonthai and Pheu Chart parties showed up at a much-monitored press conference expectedly. Conspicuously absent were the people who probably mattered more _ leaders of the Democrat, Bhumjaithai and New Economics parties _ who could have made the number exceed 255 and thus look far more convincing. The Chartthaipattanaand Chartpattana parties are also nowhere to be seen. 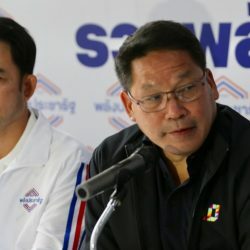 Winning the most constituency seats but trailing the leader of the other camp, the Palang Pracharat Party, in terms of combined votes nationwide, Pheu Thai needs a bigger alliance to back its bid to form a government and choose the prime minister. An alliance of, say, 290 MPs or more will rattle the 250-strong Senate, or at least draw enormous foreign sympathy and support. The Senate is expected to throw support behind PalangPracharat, yet a big House of Representatives alliance wielding a massive majority can really complicate matters. An alliance of 255 MPs may be too small, particularly when 5 per cent of Sunday’s votes remain to be counted, which could still change the situation dramatically. Palang Pracharat has 7.9 million nationwide votes, against Pheu Thai’s 7.4 million. The remaining uncounted votes number about 1.6 million. 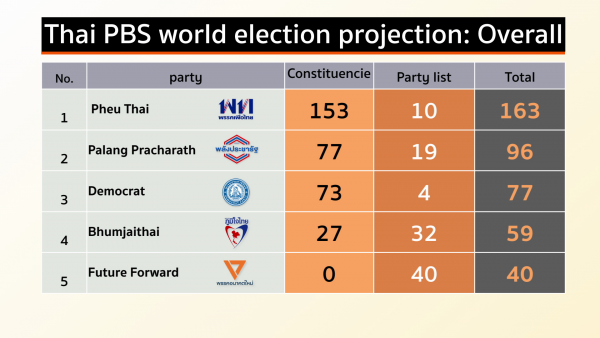 This means Palang Pracharat can get more MPs, not to mention that the Bhumjaithai and Democrat parties can do likewise, from the proportional system. On the other hand, Pheu Thai with its big number of constituency MPs will benefit little, if at all, from the remaining uncounted votes. It will have to hope that Future Forward benefits handsomely from it, otherwise the numbers of MPs the rival alliances command can change remarkably. How stable the new government will be will depend on the matter of “legitimacy”. A government supported by a House of Representative majority will not face street protests, no matter how the 250 senators vote in the prime ministerial selection. 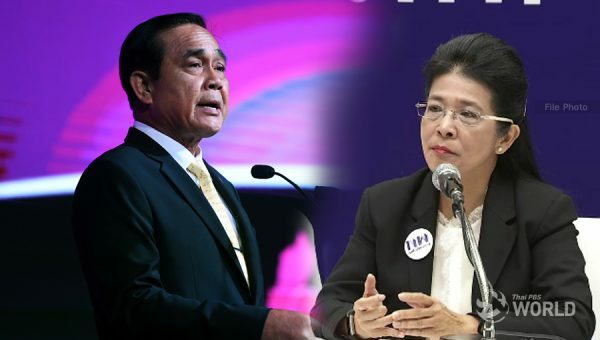 As of now, incumbent Prime Minister Prayut Chan-o-cha, Palang Pracharat’s prime ministerial nominee, has the advantage when the selection day comes. But to lead a stable government, he needs two main things _ Palang Pracharatwinning the nationwide vote count, which it already has, and his alliance being backed by a House of Representatives majority, which has to wait for the vote count to be completed. Both things will give his government considerable mandate and all but rule out the other side’s justification for massive street protests. 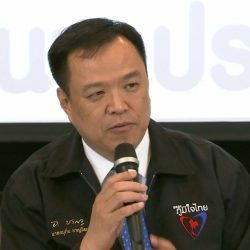 As for Pheu Thai, it is impossible to outvote the Senate, but if the remaining votes still confirm its camp’s House of Representatives majority, it will at least command justification to cry foul. It will also strengthen the Pheu Thai alliance’s stand on civil, democratic rules. Uncertainties definitely remain, and the race to form a government is very far from over.